Investigators have demonstrated how cells of a human intestinal lining created outside an individual's body mirror living tissue when placed inside microengineered Intestine-Chips, opening the door to personalized testing of drug treatments. The findings have the potential to change how patients are treated for debilitating, inflammatory gastrointestinal diseases with a genetic component, such as Crohn's disease, ulcerative colitis and irritable bowel syndrome. Instead of exposing a patient to drug treatments that may be costly, ineffective or carry harmful side effects, scientists could use the individual's own stem cells to produce a duplicate of the intestinal lining on an Intestine-Chip and test multiple drugs on it. Scientists then could determine which drug worked best on that patient's intestine. This advance will allow biomedical scientists to study the functioning of an individual's intestinal lining in a controlled microenvironment, where the lining can interact with immune cells, blood cells and drugs, said Robert Barrett, PhD, assistant professor of Medicine and research scientist at the Cedars-Sinai Board of Governors Regenerative Medicine Institute. Barrett is senior author of the study, published in Cellular and Molecular Gastroenterology and Hepatology, a journal of the American Gastroenterology Association. "This pairing of biology and engineering allows us to re-create an intestinal lining that matches that of a patient with a specific intestinal disease-without performing invasive surgery to obtain a tissue sample," said Clive Svendsen, PhD, director of the Cedars-Sinai Board of Governors Regenerative Medicine Institute and a co-author of the study. "We can produce an unlimited number of copies of this tissue and use them to evaluate potential therapies. This is an important advance in personalized medicine." To make the iPSCs, Cedars-Sinai investigators first took small samples of blood and skin cells from an adult. They reprogrammed these cells into iPSCs, which are similar to embryonic stem cells and can produce any type of body cell. Using special proteins and other substances, the scientists prodded the iPSCs to produce cells of the intestinal lining. Each cell bore the unique genetic fingerprint and characteristics of the adult who donated the original cells. 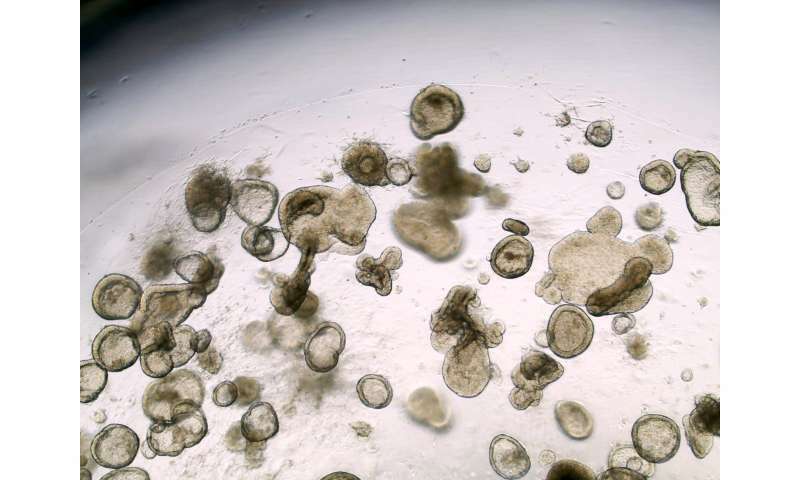 The new cells were used to grow miniature versions of the person's intestine lining, known as organoids. 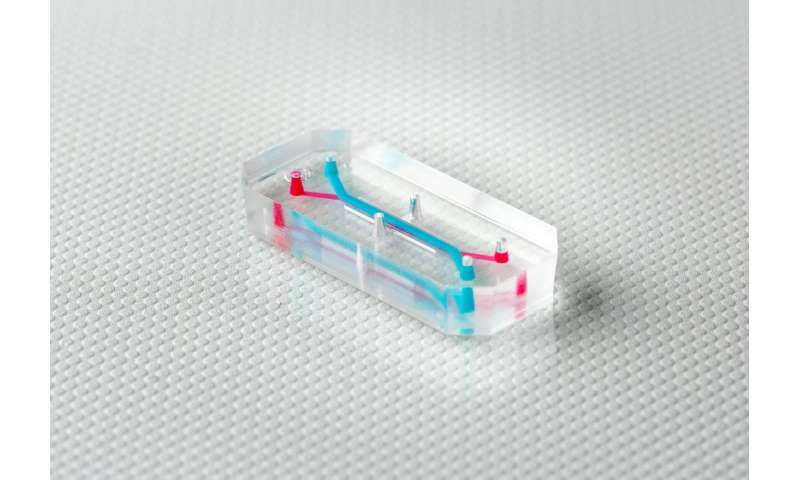 Microengineered Organ-Chip is made out of a flexible polymer that features tiny channels that can be lined with thousands of living human cells. Credit: Emulate, Inc. The team then selected cells from these organoids and placed them inside the Intestine-Chips, which are about the size of AA batteries and re-create the natural microenvironment of the human intestine, including the intestinal epithelium-the layer of cells that forms the lining of both the small and large intestines. Fluids were passed through microchannels of these chips, creating an environment that enabled the cells to develop the 3-D villi-like structures as found in the intestine in the body. Tests showed that the intestinal lining the researchers formed contained all the key cell types normally found in such a tissue. "Organ-Chips address major challenges in studying the human intestine and intestinal diseases in the lab," said Geraldine A. Hamilton, PhD, president and chief scientific officer of Emulate and a co-author of the study. 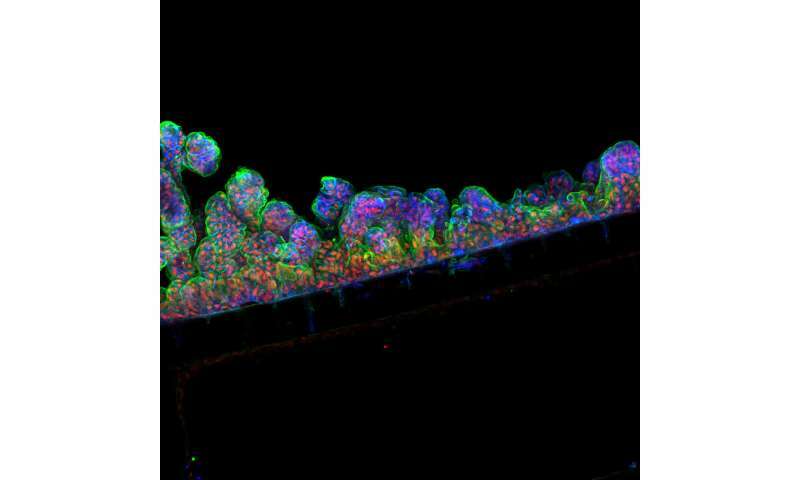 "The Intestine-Chip is a 'home-away-from-home' for human cells, and provides them with the right microenvironment and biological cues they need to behave just like they do in the body. Our Intestine-Chip also allows researchers to culture intestinal epithelial cells alongside other cell types, such as immune cells, and analyze how these different cell types interact. "Further, by partnering with Cedars-Sinai to generate intestinal linings from iPSCs, we can match the Intestine-Chip to individual donors," Hamilton added. 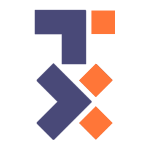 The study was part of is an initiative of Cedars-Sinai Precision Health, whose goal is to drive the development of the newest technology and best research, coupled with the finest clinical practice, to rapidly enable a new era of personalized health.